iSnag provides the ability to digitise any of your existing forms and their associated workflows, including but not excluded to; snags/defect management, area inspections, checklists, void closures, health & safety records, area handovers and surveys. iSnag will facilitate efficient management of your processes and provide bespoke reporting to streamline your project delivery. 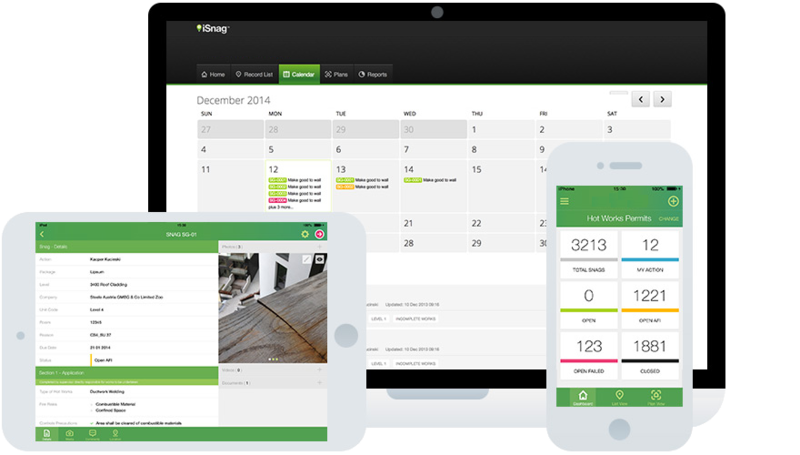 iSnag is available on iOS and Android devices, as well as an online web application. iSnag allows users to pin-point the location of snags via intelligent drawings and elevations. Simply select a drawing, zoom into the desired location to drop a pin on plan. iSnag automatically identifies and populates the relevant meta-data pertaining to the selected location, including but not excluded to the building, level, apartment and space/room. Provide detailed and interactive contextual information including photos, video and voice recordings. Markup your photos to further describe snags, defects and other site issues. A bespoke project reporting system that allows interrogation of the entire snagging and inspection process. 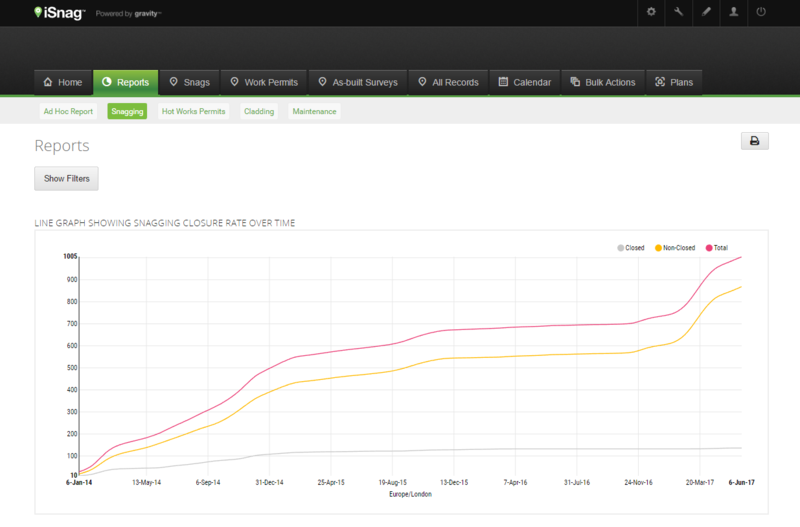 Monitor main contractor and sub contractor performance via league tables and cumulative line graphs. Report on overdue actions, recurring issues and bottle-necks or configure iSnag to create your own unique reports. 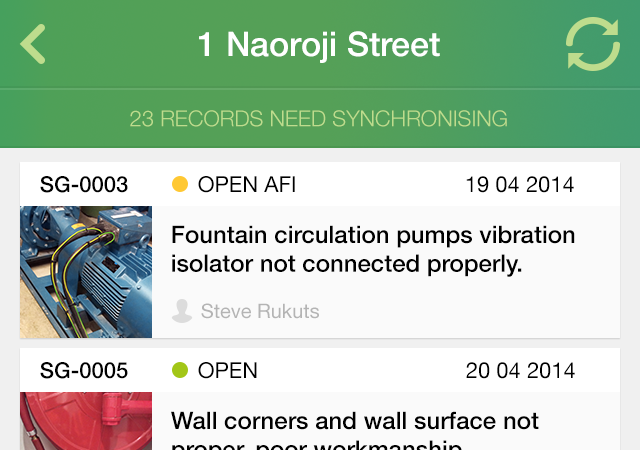 Define bespoke workflows to automate the inspection process. In the depicted example, subcontractors and package managers are notified when new snags are raised or existing inspections are failed or completed. Keeping your whole team up to date with the progress on-site. Wi-Fi or 4G networks may be hard to come by on construction sites therefore iSnag can work completely offline to allow the capture and management of all site issues. All data is hosted within a resilient server environment which is fully backed up which is always available. Easily duplicate existing snags across buildings, levels and rooms to improve productivity, and save time. 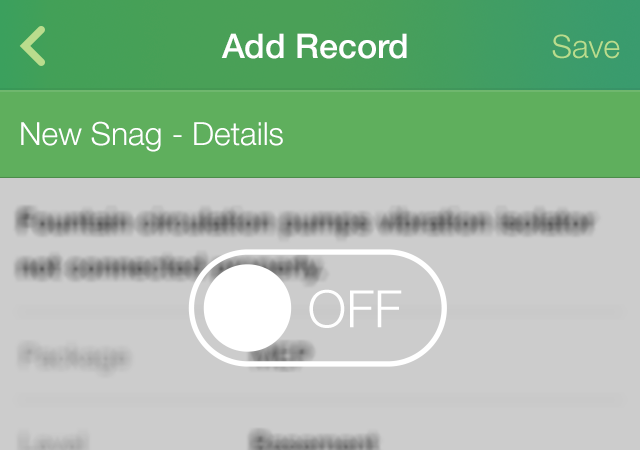 Select common snag descriptions and other attributes from the iSnag library or write your own. Other software solutions provided some of the (required) functionality, however iSnag was the clear winner satisfying each and every aspect our needs. Since using iSnag on 20 Fenchurch Street, we have adopted the system on numerous other projects resulting in the same positive feedback. iSnag is a must-have tool for any construction project. Many thanks for your interest in iSnag.